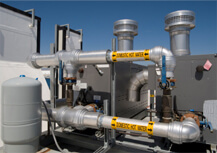 USA Heating & Cooling in Milwaukee, WI is an HVAC contractor. I have started my business with this concept, abide by it today, and will continue to always run my business this way. Every employee I hire has to have this same belief. We specialize in New Home Construction, Remodels, and Service/Repair work. You will find our pricing to be very competitive, and the quality of our workmanship is second to none. I personally guarantee fast, dependable service, and most importantly, I stand behind our work. I not only work hard at getting your business, but I will work even harder at keeping your business. I want to thank you for the time you took to read this, and I look forward to hearing from you regarding your next repair or project! We are a veteran owned, veteran friendly company and we treat people the way we would like to be treated, with respect and a concern for not only giving the customer what they need, but also doing it with honesty, integrity, quality and all at great pricing. 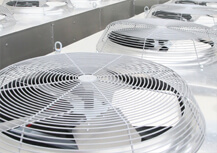 Our trained professionals have more than 75 years of combined experience. 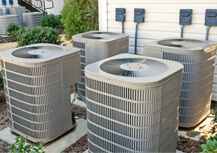 From minor repair work to installation of eco-friendly heating and cooling systems, we do it all. Our services are available 7 days a week, 24 hours a day for residential, commercial and industrial clients in Southeast Wisconsin. 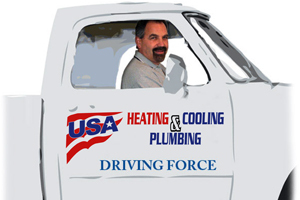 The certified technicians at USA Heating, Cooling & Plumbing in Southeast Wisconsin are the best in the business. We are known for our attention to detail, honesty and integrity. 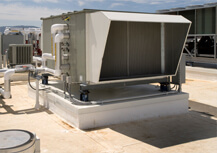 You can count on us to take care of all your residential, commercial and industrial HVAC and plumbing needs in a quick and efficient manner.